Nothing. Nothing qualifies me to advise you. I am not an attorney, paralegal, legal advisor, legal assistant or legal anything, I am just a regular person, like you, well maybe not exactly like you, but I wanted a divorce and I couldn't find information to do so. I have muddled my way through divorce court two times in California and I could have used an article like this one. My first divorce was back in 1997, that was the easy one. My second divorce began in 2006 and did not end until 2013!! The second divorce was when I really needed help or some kind of legal representation. Paying for a divorce attorney was simply beyond my means, so I had to do it on my own. I was very disappointed to find minimal, if any advice, online, or otherwise, information about the divorce process and what I needed to do. It's such a common legal matter, with the divorce rate at 50%, a person would think there would be plenty of free, affordable, or advice of any sort, out there, but there is not. I want to change that for you. I will share with you what I learned. It's not legal advice, but it's advice none-the-less. There will be no request for your credit card number, there will be no fee's for this information, it's yours, free of charge. Looking back after my two divorces, I have a pretty good handle on how the justice system works in California. I will share my knowledge with you in the hope that it will help someone that was like me, financially strapped, in need of advice, how to negotiate the legal system. It's not that difficult. I just want to help you achieve what we recite in the Pledge of Allegiance, Justice For All. Like I said, my second divorce took seven years! Partly because there was a great deal of community property money involved that my spouse did not want to part with, and I didn't know what legal steps I needed to take to get my share of it. The other issue, that made it take so long was bitter feelings. As long as your spouse knows how to write and submit a Motion any issue they decide to bring up, a judge must hear it. When you have a spouse that is bitter get ready for motion, after motion, after motion, and it will drag the divorce out to what seems like an eternity. When you talk with the clerk, you can ask her for a fee waiver. It's no big deal and she'll submit it right then and there with your forms. The fee waiver is free. She will ask for a reason that you need the fee waiver, I was broke and the time and said so. If your financially strapped, who isn't during their divorce, ask for the fee waiver. For the sake of space I won't go into great detail on filling out each form, just because they are self explanatory. When you download or pick the forms up at the courthouse the court clerk (The person at the window where you get the forms) will provide a handy how-to pamphlet that walks you through the form step-by-step. If you pick up the packet at your local Courthouse, be prepared to pay for it. The last time I picked up a packet it was $30 I believe. If a restraining order is needed, that packet is free. If you check a box or fill in a section that was not necessary, in court, the judge will merely say, "That didn't need to be marked or said." and it will be crossed out (aka: stricken from the record). If you DON'T check a box or you DON'T fill in a section, then you won't get what that item offers because you never asked for it. You're better off marking too much than not enough. This doesn't mean go haywire and mark everything. This means, "If you're not sure, then mark it". In an effort to allow the process of information to flow readily I have placed the table with terms and their meaning at the bottom. You can click ctrl + end to make the cursor jump to the bottom near the table. When you come to the decision that there is no way to save your marriage you will need to file for either Legal Separation or Divorce. Both Legal Separation and Divorce are heard at the Superior Court of your County. You will find a Google map, at the bottom of this hub, with what I have noticed to be the top ten Superior Courts utilized in California. There are a couple of reasons a person may opt for legal separation instead of a divorce straight away. If your spouse provides your health insurance through their job a legal separation allows you to retain that coverage. Also, with a legal separation, if you decide to seek reconciliation with your spouse, you can. If you have children, support and visitation will be ordered with a legal separation. Also, spousal support can be ordered with a legal separation. One other note about legal separation. If you own property with your spouse you can file a Lis Pendens on you're spouse concerning the property. 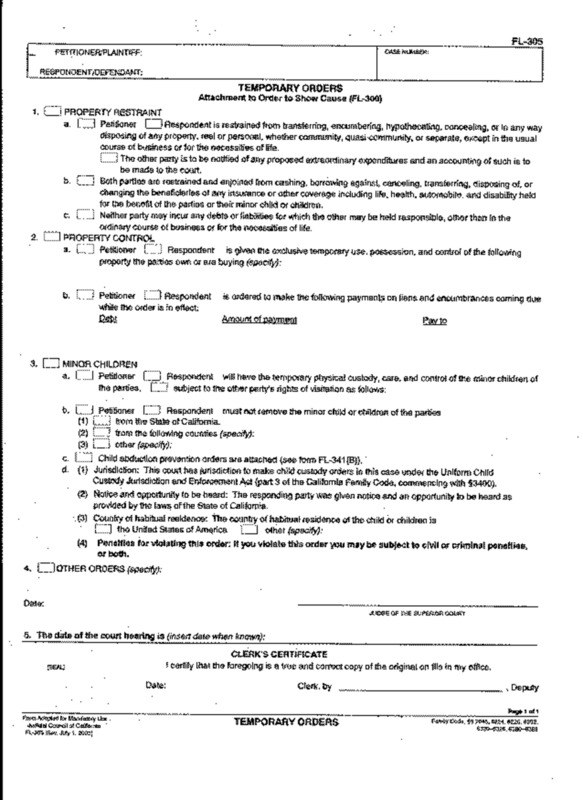 This is a legal document, filed with the county clerk, where the property is located, that states you have interest in the property. You cannot do this unless you have filed for legal separation or divorce. The forms you will need all start with the letters FL or DV. FL stands for Family Law and DV stands for Domestic Violence. The form numbers I list are exactly what are on the Judicial forms page for the San Joaquin Superior Court. Check the Superior Court website of your county to make sure their form number is the same. If you're looking for the legal separation form, then type legal separation into the search box, on their website, and it will lead you to their form number. 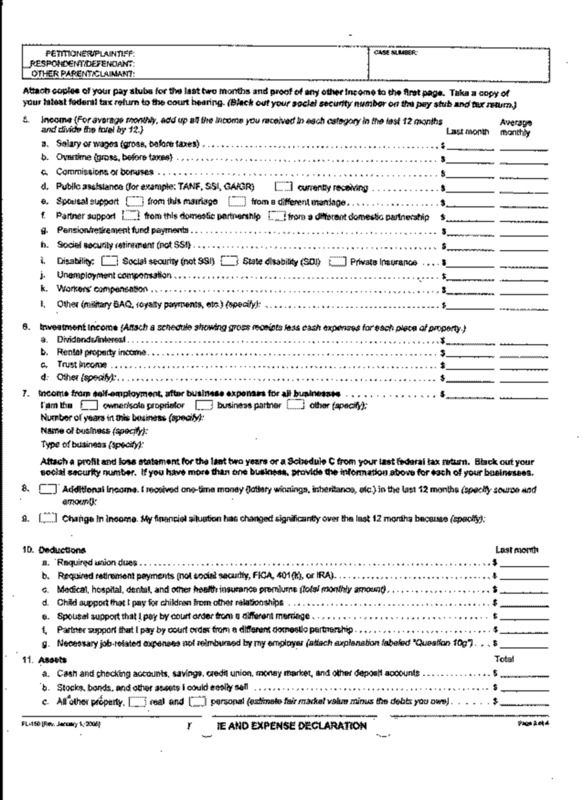 If your spouse has a retirement plan with his/her employer, you must file a Qualified Domestic Relations Order (aka: QDRO) in order to secure your rightful share of it. The QDRO is a document you write up, submit to your spouse's retirement, and if approved by the retirement, it is submitted to the court for approval and entry into the divorce decree. 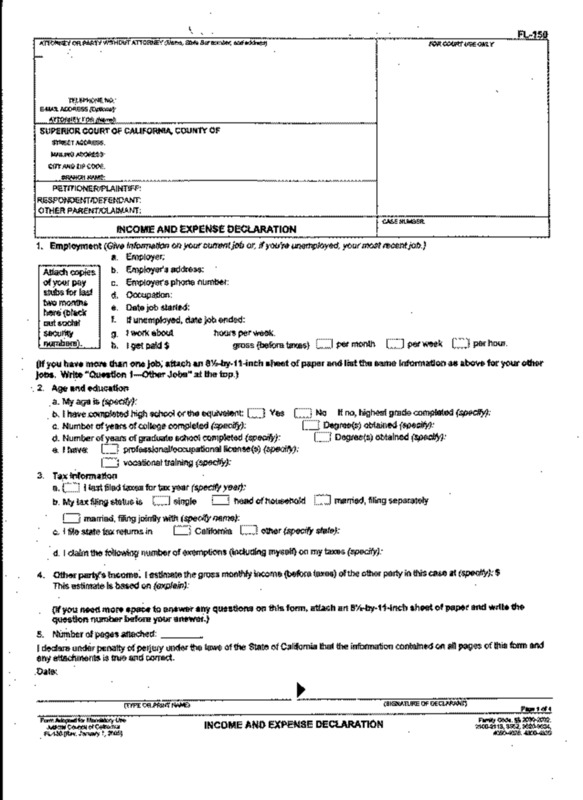 Application for order and supporting information. This is the response to a motion or order to show cause. The other person has the right to refute what has been stated. This is your request to the judge for a protective order. Here you tell the judge what abuse you suffered. Be precise when filling this form out. Put down exact dates and exactly what happened in chronological order. Attach every bit of evidence you have, it's your word against theirs and you must prove what happened. 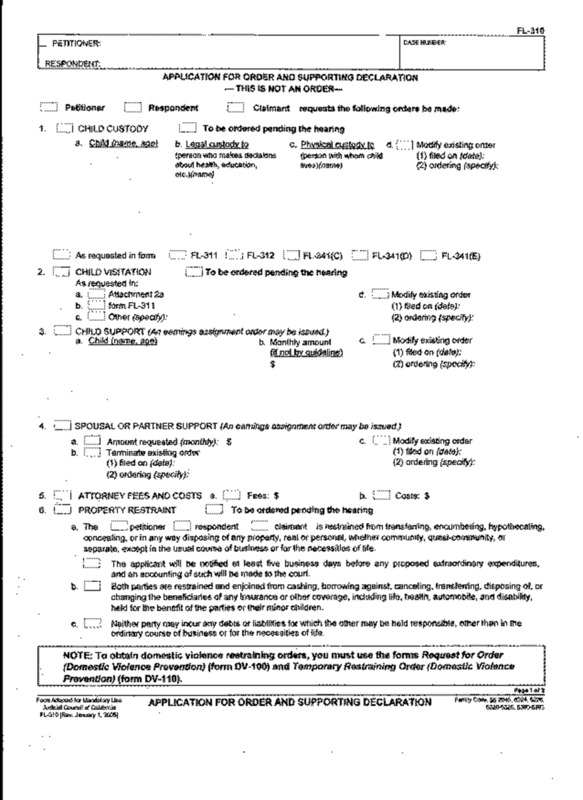 This form is where you ask the judge to give you custody or suggest what you believe would be the best situation for the children. All suggestions should offer some sort of visitation to the other parent. They MUST be allowed to see their children whether it be supervised or not. Offer something. 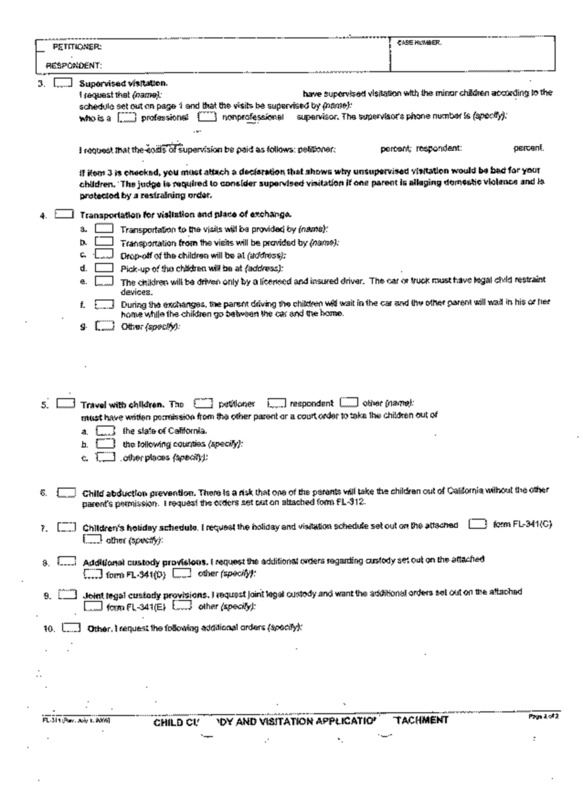 If there is good reason to believe the other parent will leave with your children fill this form. Fill these out and submit them with the previous four forms. 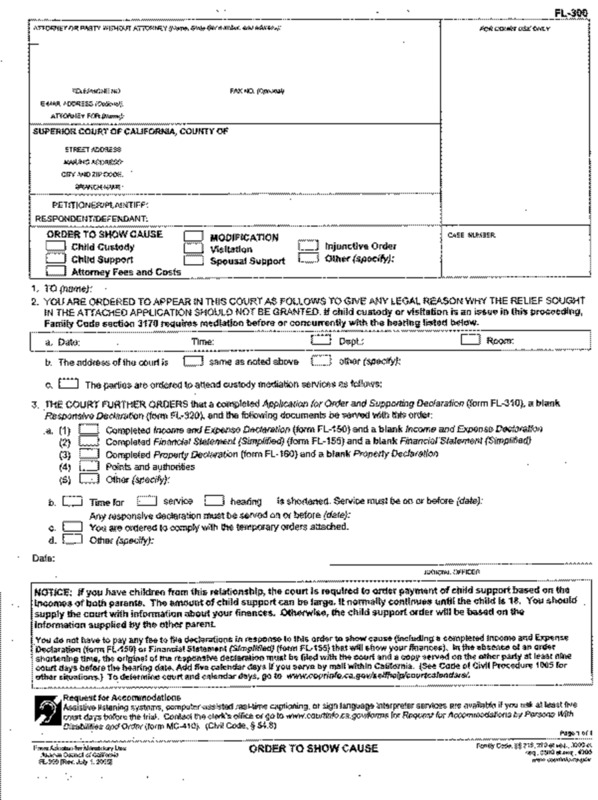 If approved the judge will enter information on these forms and give it back to you. This form is for your spouse to respond to your accusations. 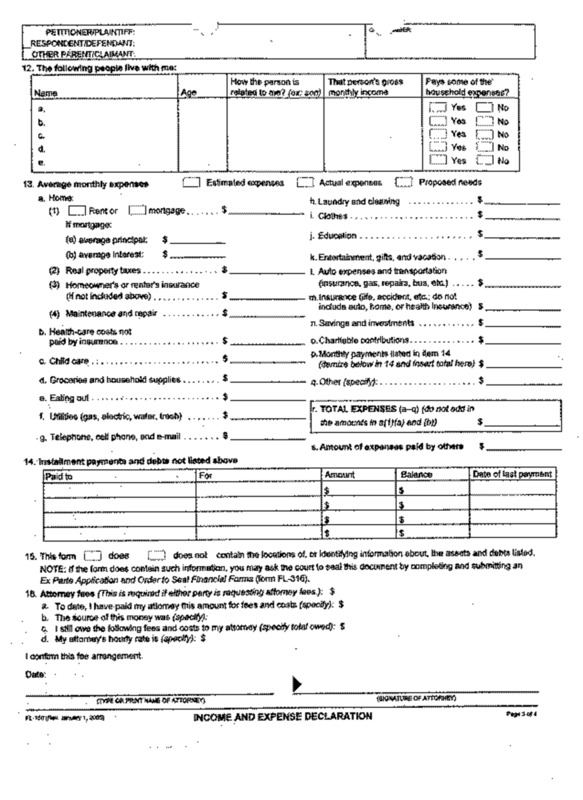 You must provide it with the previous forms and, if approved, have these documents served to your spouse.. 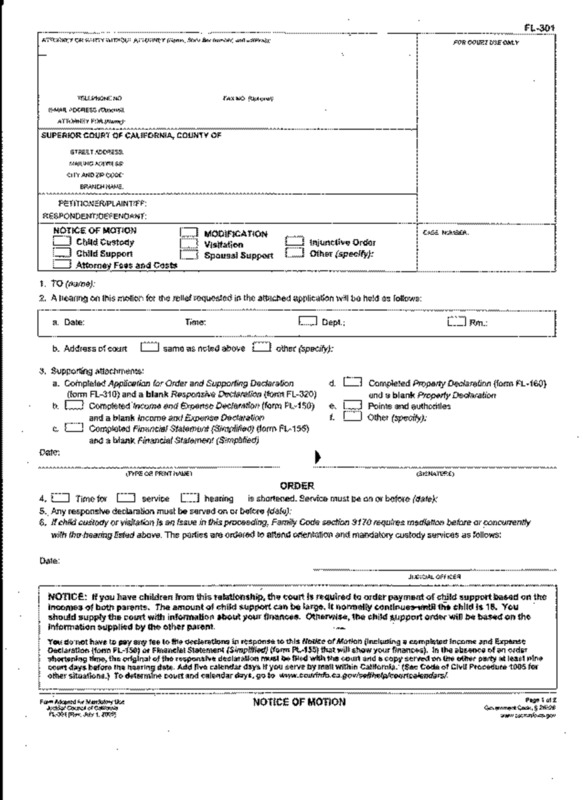 If the Restraining Order is Approved you will provide this form (highly protected information) to law enforcement. DV stands for Domestic Violence. FL stands for Family Law. You will see these letters at the top of each document according to which form you're filling out. You use these letters together with a number when searching for documents. Check your counties Superior Court website to make sure that these are all the forms required. If you go directly to the courthouse they will give you a Domestic Violence Packet that has all the forms you could possibly need and it's specific for that county. The Domestic Violence packet is free because you are a victim. The courthouse also has divorce packets you can pick up, but they are not free. You may feel you're a victim, but according to the court you're just as guilty as your spouse. The fee can be large. If you're strapped for cash, ask the clerk for a fee waiver. They can give this to you immediately. Here you will find the best informational I've ever come across for the divorce process. Its straight from the California Courts website! It gives you legal step-by-step advice of the forms to fill out, how to fill them out and who gets what. Best of all its the Legal Steps to take straight from the court! It's a crap shoot weather the judge you get is going to be favorable towards you or not. I had one judge that, for the life of me, I don't know why, but she did not like me. She ordered anything she could against me, and there's nothing I can do about it. Let me correct that, I can take my case to a higher court, but if I do, I must have representation (an attorney). That means I'm into an attorney for thousands of dollars. I don't have thousands of dollars to pay an attorney, so I won't be taking it to a higher court. It is not fair but that's the way the legal system rolls. Keep a positive attitude and let the dice roll. When it's your day in court you need to have ALL the documents with you that you filed with the court earlier. Bring an extra copy just in case the judge needs one or your spouse needs one (you'll look like a real nice person if you offer a copy to your spouse when they don't have one, big points). You should wear your Sunday best. In San Joaquin Superior Court you won't get through the courtroom door with shorts on or flip-flops. Collect every bit of respect you have to present it to the judge. Dig it out of your basement or where ever you keep that extra stash of respect, get it. I don't care if you have to borrow some from your neighbor, do it. What ever you do always show respect. If its the Domestic Violence hearing, present your evidence. Prove your point and let the judge decide. If this is the divorce, or child custody hearing, don't harp on the abuse. Stay on topic with the order of the day. Crying abuse at every turn of your case can work against you. Here you will find a list of some good advice from an attorney. If you have children you will be ordered to mediation. Whether you agree on everything with your spouse or not, you must present your plan to a mediator who will, in turn, present it to the judge. 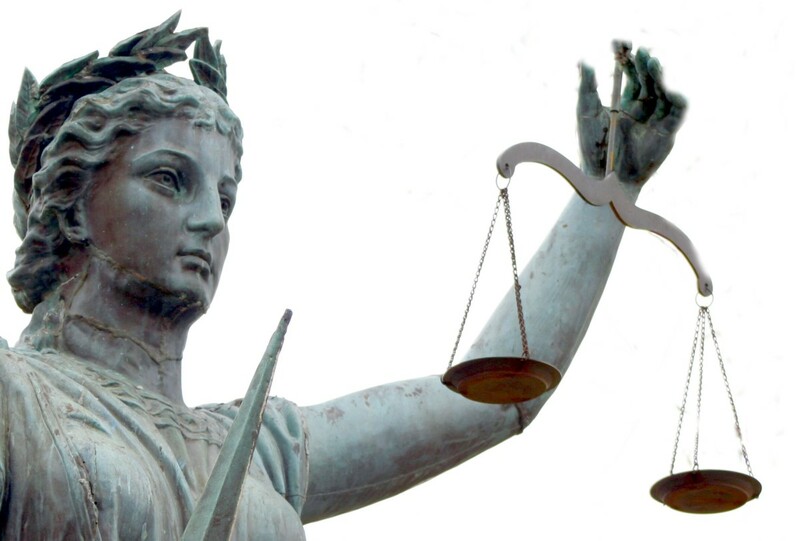 Provide the judge with the courtesy and respect his/her position deserves. 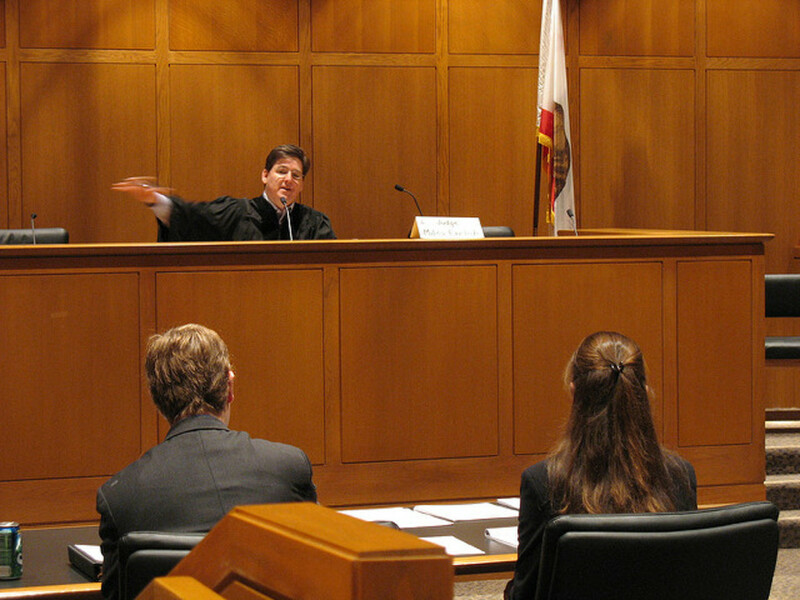 Arguing with a judge will NOT help your case. The worst possible thing you can do is make the judge mad or irritated with you. Its his/her courtroom and they have a bailiff to prove it to you. So, use that respect you brought with you that we talked about. 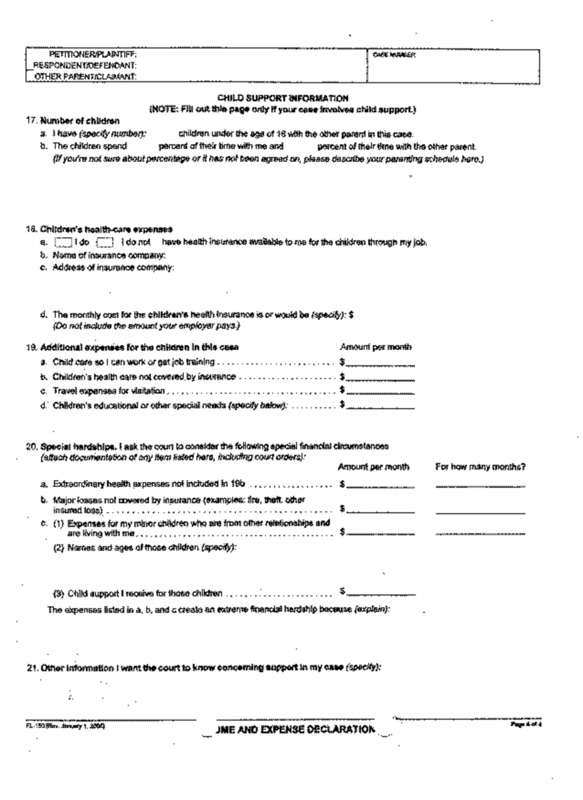 To finalize your divorce each person must fill out a Declaration of Disclosure. You fill this form out two times. The first time you check the box for preliminary. The second time you fill it out you check the box final. The preliminary one is sent to your spouse, the court does not care about this form, but they do want to know if you sent it. 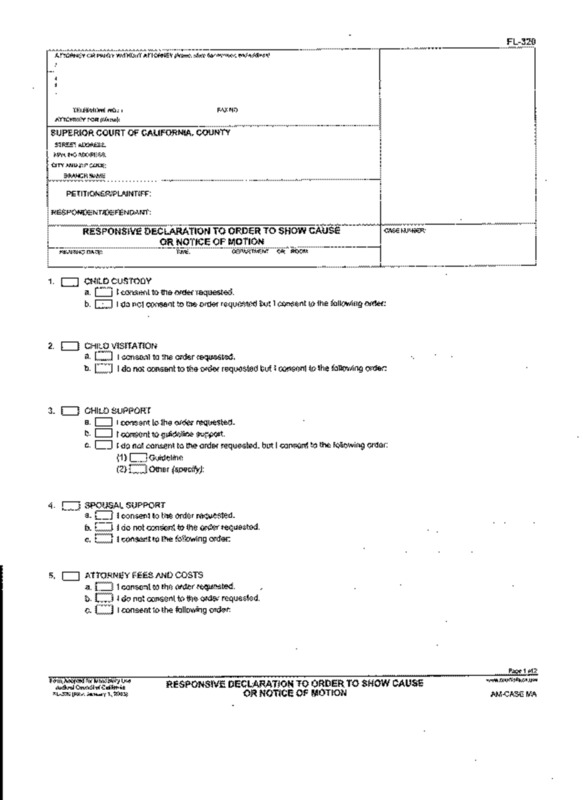 So you fill out a form Proof of Service of Declaration of Disclosure and send it to the court. 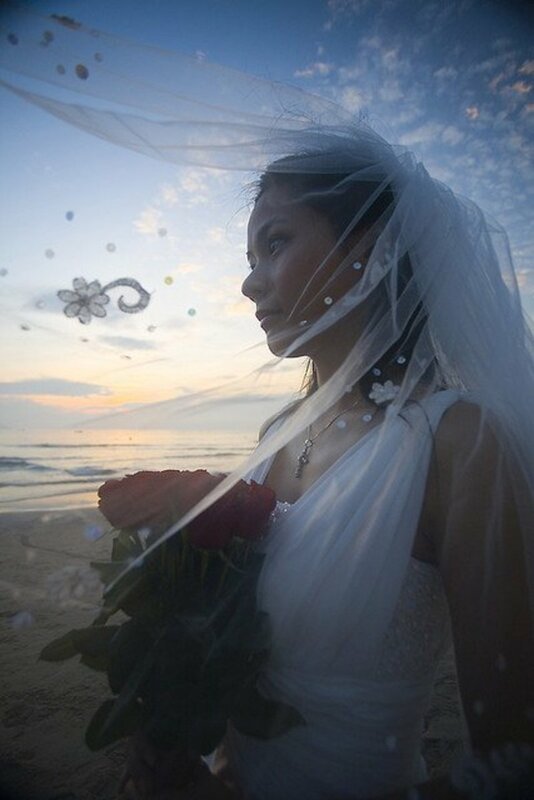 The preliminary one is you saying to your spouse, "Here's what I believe we have. This is what I believe is yours, mine and what we need to divide between us." Then your spouse sends the same to you and you go over it. Discuss it with them if you can. Sometimes you just plain can't talk to your spouse, I understand. It does NOT take two to argue. Whoever said that never met my ex-husband! Sometimes it just takes one, and they'll sit there and argue with themselves. I really do understand. Either way after you've filled out and sent your spouse a copy of the preliminary declaration of disclosure, and filed the proof of service with the court, you will fill out the final Declaration of Disclosure. Hopefully you and your spouse were able to work things out and your declarations match in content. Then the judge will just check the numbers over and OK it at your hearing. You're Divorced. If they do not match, this is when the judge will take over and divide your assets up for you. This is where all that respect you brought with you will come into play. If you were able to stay on the judges good side, your property, bills, assets and debts will be divided equally. If you were not able to stay on the judges good side, well, roll the dice and see what happens. 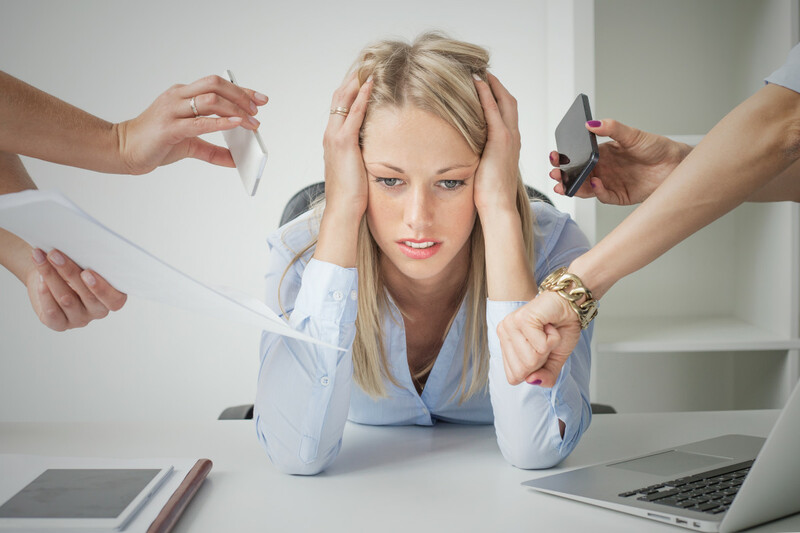 The judge, or sometimes commissioner, does not have a lot of time to work through what you want and what your spouse wants, there are many other people waiting for his/her turn to divorce. So, in a few minutes time, with equity and retirement information at hand, your life will be divided in a court room in just a few minutes. You're Divorced. If you or your spouse decides not to fill out their Declaration of Disclosure or decides not to respond to it, then a judge can order a Divorce by Default. This means, the divorce is going to be granted because the other person will not respond or cannot be found, and it is not fair to keep the other person tied to a marriage they do not want just because the other person is not going to present themselves. You provide your Declaration of Disclosure and send it to your spouses last known address. File the proof with the court. Send your Final Declaration of Disclosure and send it to your spouses last known address. Go to the hearing that was set for you. When your spouse doesn't show up or provide any proof of interest, You're Divorced. I'm sure I don't have to tell you that if at all possible, work with your spouse through the divorce. It will behoove you both. A judge that is forced to make decisions for you will make them in a snap, whether you like them or not. 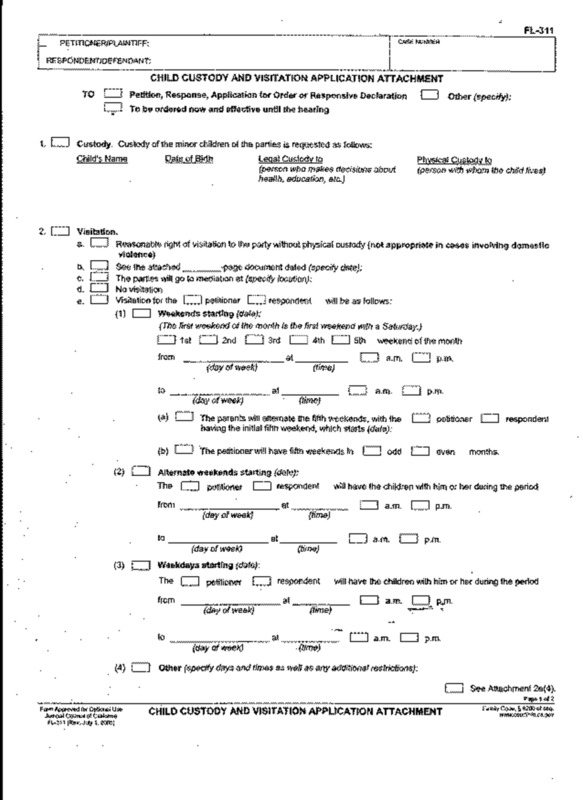 A pre-written document that you fill in the blanks. Its pre-written the way the court wants it to make it easier for them to read & collect information they need. There's a list online of all the forms & what they are for. Give it to the court clerk and she/he will put a stamp indicating the day you handed it to him/her. One copy is for the court to keep so the judge knows what's going on, one for you to have and one you "serve" on your spouse. This doesn't mean dinner. To "serve" the other party means you mail or pay someone to physically hand the papers you "filed" in court to your spouse. Your spouse needs to know what's going on just like the court does. Proof of Service after you mail or have the papers handed to your spouse. Another pre-written document you download or pick up at the court that says, "I served the papers to my spouse and these are what papers I served and what date I served them" and sign it. On the forms website or otherwise its ANY form that starts with "Motion For...."
This means its being removed as if it was not there in the first place. For Ex. You fill in a form with: "I want our family home" on the income and expense form. That's the wrong spot, so it is "stricken" or removed because its in the wrong spot. The form for child custody has this option. It says "Property Control" with a check box on page two. 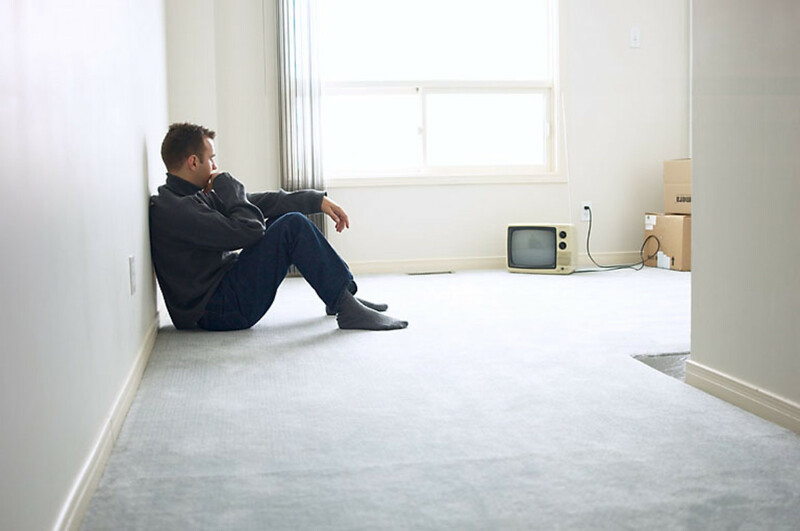 If the judge in my CA divorce refused to acknowledge my ex-husbands violated summons 110 by getting rid of community property, cars, household furniture, etc., could that allow for a set-aside? Also, he and his attorney filed false IED. 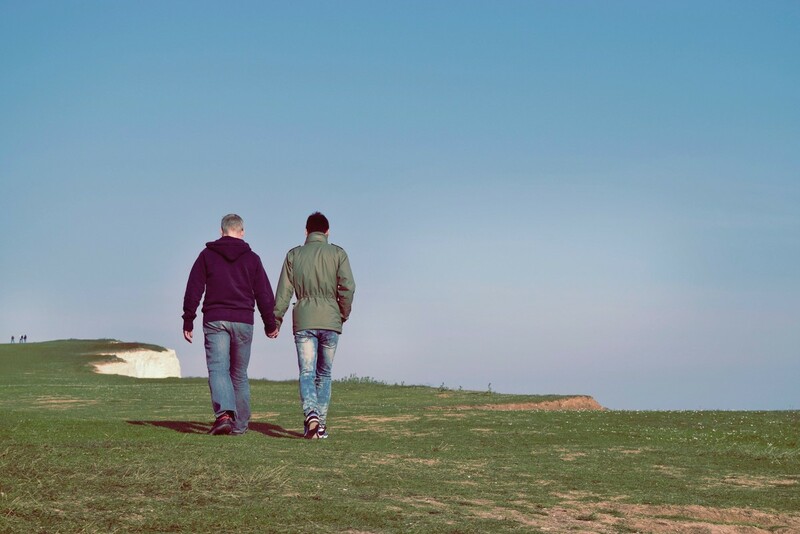 Is Separation or Divorce More Difficult When Your Partner Comes out as Gay? Using Video Recordings in a Divorce: Is it Legal? Thanks Paul, any information is helpful on the subject. It's not right that criminals have the right to a free attorney, but people divorcing don't, so this was my little way of helping out. Your link can be seen in these comments for those who need it. Thanks again. Hi LegalNY, Thank you for stopping by and reading! I checked out the websites you have suggested and they both look legit and set up well. But I will warn my readers, both sites charge a fee for their services. Court forms can be downloaded for FREE from your county Superior Court. And you can obtain the exact qdro required for your situation by contacting the holder of your retirement funds and they will send you the forms for FREE! Thank you for the web address's!